Peach cobbler; state symbol of Texas. Photo by purdman1/Flickr (Use Permitted with Attribution). 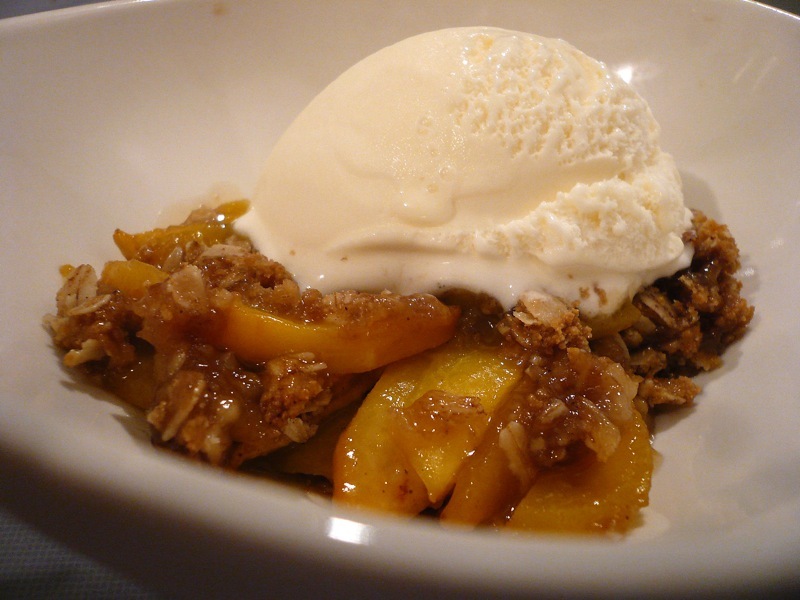 Peach cobbler was designated the official state cobbler of Texas in 2013. Texas has also recognized other delicious desserts as official symbols of the state; pecan pie, Sopaipilla, and strudel. RESOLVED, That the 83rd Legislature of the State of Texas hereby designate peach cobbler as the official cobbler of Texas.